Have your eyes tested (examined) regularly to help find problems early, when they may be easier to treat. 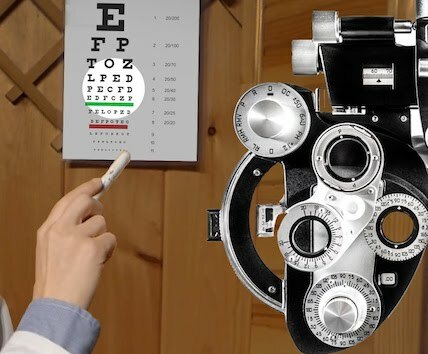 The doctor will also do tests to make sure you are seeing as clearly as possible. The doctor will put drops in your eyes to dilate (enlarge) your pupils. A dilated eye exam is the only way to find some types of eye disease. As you get older, your eyes change. This increases your chance of developing a vision problem. You may be at higher risk if one of your parents had a vision problem, like needing to wear glasses. Getting older increases your risk of certain eye diseases. You may be at higher risk if you have diabetes or high blood pressure – or if you have a family member with diabetes or an eye disease. A vision screening is a short checkup for your eyes. It usually takes place during a regular doctor visit. Vision screenings can only find certain eye problems. Poor vision or the wrong glasses can increase your risk of falling. One in 3 older adults will fall each year. Falling can cause serious injuries and health problems, especially for people over age 64. Protect your eyes from the sun by wearing sunglasses and a hat.